Canonical head tells us why next-generation networks are the key to innovation. The fifth generation of wireless cellular communication - or 5G as it’s more commonly known - is expected to move from concept to reality by 2020. The same year the number of connected devices is expected to exceed 30 billion. 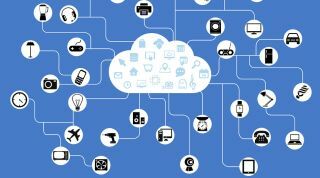 This era of ‘hyper-connected IoT’ is driving demand for bandwidth through the roof - not simply because of the raw numbers, but due to the way these smarter products actually use the network. Devices at the edge are no longer just primitive sensors, but advanced computers in their own right: autonomous vehicles, gateways, robots, drones and everything in between. The ability to process vast amounts of data will require not just a faster connection, but a fundamental shift in how we approach all forms of technology. GCHQ chief Jeremy Fleming said recently of 5G that “we have entered a new technological age, one that will fundamentally change the way we live, work, and interact with each other”. Here is the key difference between 5G and its predecessor: we’ve moved beyond simple notions of speed. To the average consumer, 4G allows us to do everything we want most of the time - sift through social media, stream shows, and speak to friends and family over a cellular network. The occasional buffer does not change the way we operate day-to-day. The strength of 5G, however, lies in its increased capacity and reduced latency times. That’s because, when taken together, they ensure 5G will be the most reliable means of processing compute - the benchmark for more advanced technologies. When it comes to the Internet of Things, 5G’s reliability opens up an infinite number of new uses. It means that data collected at the edge can be understood and actioned in near real-time. Multi-gigabit-per-second speeds and one-millisecond latency times will ensure more data than ever can be farmed off and used in wider crowd-sourced intelligence. Developers, meanwhile, can incorporate other technologies into their offerings more easily, overlaying intelligence onto every device on the edge. The reliability of 5G will help optimise industry performance - in automotive, agriculture and logistics. It is the relationship between 5G and IoT, however, where the next generation of innovative solutions will arrive from. Autonomous vehicles remain one of the most talked about examples, with data collected from a vast array of sensors, including speed and rain gauges, GPS and external cameras. With the advent of 5G, this information will become indispensable, as businesses and cities overlay other technologies - such as artificial intelligence and machine learning - onto the real-time data outputs and revolutionise how we move. Improving traffic flows, identifying manufacturing defects automatically, and supporting passenger safety can all be realised through the harmony of 5G and IoT. It is not impossible to imagine other connected devices expanding the future driving experience too. From experimental biometric chips, which allow communication between humans and vehicles, to VR and AR windows that visually transport those travelling long distances to their destination. Partnering robotics with 5G, meanwhile, could revolutionise healthcare and support more advanced techniques. Real-time rendering of virtual models will see telesurgery become a viable solution, ensuring access to treatment is not hindered by geography. A human doctor could perform an operation on a 3D construction, while a robot carries out the same procedure on a patient somewhere else in the world. Cars and robots show the benefits of 5G intersecting IoT, but both raise questions around security. Previous generations of mobile networks were designed with consumers in mind, meaning security was not a primary consideration. As more businesses take advantage of the speed, however, and migrate their operations onto 5G infrastructures, the need to protect the network and edge device becomes imperative. Take into account that 5G supports network slicing - the ability to create multiple virtual networks on top of one platform - and security will have to drop its one-size-fits all mantra. In the case of smarter vehicles, hackers have multiple access points to exploit and a failed network could have serious repercussions. Thinking about robots, the IoT device itself could be used as a botnet, where cyber-criminals takeover the robot for malicious purposes. A lot can be done around securing IoT devices when 5G is made to work. Software can now support ongoing health checks, especially when coupled with the increased bandwidth of 5G, allowing updates and rollbacks to flow in a timely manner. That’s one way to help future-proof connected devices with a next generation connection, but what about when the network itself becomes the security measure? 5G is expected to roll-out over a radio frequency like previous iterations, but other mediums have been touted in order to bring an extra layer of security to the network. LiFi is a disruptive technology with the power to unlock the potential of the IoT in a safe manner. Using light to send data embedded in the beam, LiFi could ensure the validity of the connected home, with IoT devices only able to access the network when in direct contact with the light. It’s an interesting use case for 5G and one that maximises its speed and capacity, without the added security risks. Smart homes and future offices could be almost unrecognisable with secure connected devices at their hearts - constantly evolving layouts and ecosystems all controlled by real-time data. IoT is one of the most exciting and diverse industries. The promise of 5G is that of ubiquitous, reliable, scalable, and cost-effective real-time communications. It will, therefore, become fundamental in how businesses and society operates more broadly. With the right edge software and trust in the network, both technologies will revolutionise the likes of wearables, cities and robots. IoT will develop a new generation of value alongside 5G, with the edge a hotbed of innovation.